Perfect for Halloween these cookies are great this time of year. 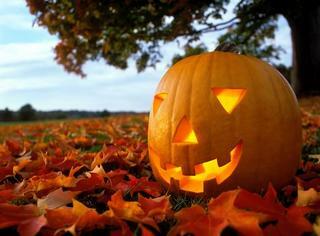 Go to the pumpkin patch, pick the perfect Jack O' Lantern and make some great cookies. Into a large mixing bowl, measure all ingredients except pecans. With hand held mixer at low speed, beat ingredients until blended, scraping bowl occasionally. Increase mixer speed to medium and beat for 1 minute longer. Preheat oven to 350°. Using 2 tablespoons of batter for each cookie, spoon batter into mounds on ungreased baking sheets, keeping mounds about 2 inches apart. Press a pecan half into the center of each cookie dough mound. Bake cookies for 18 to 20 minutes, until golden brown. Loosen cookies with spatula and move to wire rack to cool. Store in tightly covered container for up to 4 days. Freeze in portions, if desired. Makes 6 to 7 dozen cookies. HI - wow, I was just searching around for a pumpkin cookie recipe. Question: do these cookies come out sturdy? Or do they crumble easily when eaten? Suitable for decorating with royal icing?